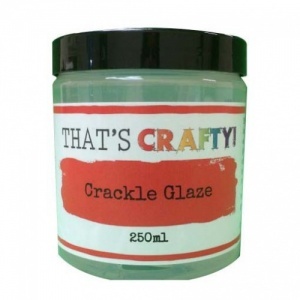 Crackle Glaze can be used between two layers of paint or as an undercoat. Paint surface with acrylic paint, when dry, paint on a layer of Crackle Glaze. 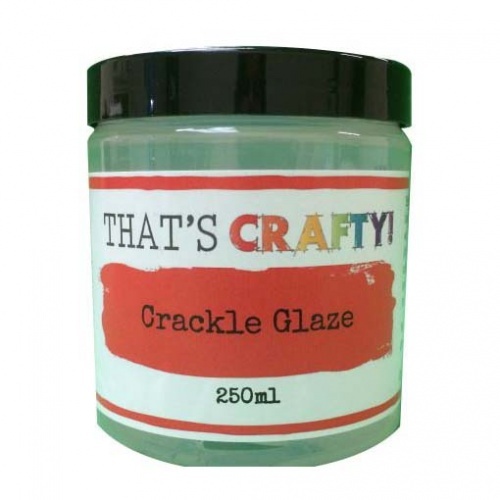 When Crackle Glaze is dry (dries with a slightly tacky finish) apply a second layer of a contrasting paint colour and watch the cracks appear! Can be applied with a synthetic brush or palette knife. If using as an undercoat, apply directly to surface and when dry, paint over with acrylic paint. * You can use metallic paint with this product as an undercoat but not a topcoat as it won't crack! 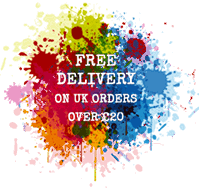 Water based and can be used on paper, card, wood, MDF, chipboard, greyboard, canvas, clay, terracotta etc. Clean tools in water before Crackle Glaze dries.